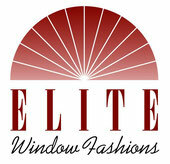 We specialize in custom window treatments for your home or office. Our products include blinds, shutters, shades, draperies, pillows, bedspreads, headboards, bench cushions, and so much more. Take a look at the information below to learn more about many of the products we carry. Visit our store to see even more! For over 50 years, Hunter Douglas has created innovative and beautiful window coverings. Hunter Douglas products combine the best features of blinds, shades and draperies. We can help you have sweet dreams every night - with a bedspread that complements your bedroom decor. Let our experienced staff help you select the perfect bedspread. Bedspreads are available in a wide variety of styles, colors and fabrics. From a basic pinch pleat to a sophisticated top treatment, we can help you design the perfect finishing touch for your Hunter Douglas selection. Many fine fabrics are available in a wide variety of colors and textures. The elegance of shutters can add value to your home - and we are the shutter experts. Our shutters are available in a selection of louver sizes and finishes to enhance any décor and window size. They're carefully measured, manufactured and installed to the exact specifications of your windows for a perfect fit. Whether you're looking for fabrics for draperies, valances, bedspreads, pillows or upholstery, our complete fabric library will help you realize your vision for a beautiful home. From the most basic hardware and finishes to ultra-sophisticated, innovative materials and colors, we have the perfect drapery hardware to accent your fabric window treatment and complete your interior look.